Good advice Julian - thank you. I was looking for something I could use with the UV-5R. I bought a "Kenwood" mike for my Kenwood TS-870 S hand mike through Ebay about 6 weeks ago. The only thing compatible about the mike was the 8-pin connector, it picked up RF on every band and none of the buttons, except the PTT lever did anything. It also had, rather optimistically, a Kenwood insignia on the case. I contacted the seller in Asia who asked me to post it back, at my expense. I refused with the comment that it is illegal to sell couterfeit goods in the UK and equally illegal for me to ship counterfeit items throgh the post! Realizing he was in danger of losing his Ebay rating he immediately refunded my entire payment though PayPal. Last time I checked, they were still on sale through Ebay. CAVEAT EMPTOR? No longer necessary under Consumer Protection rights when buying over the internet, but to prevent the dissapointment and hassle of getting a refund, the old saying "if its too good to be true it isn't what you are expecting!. 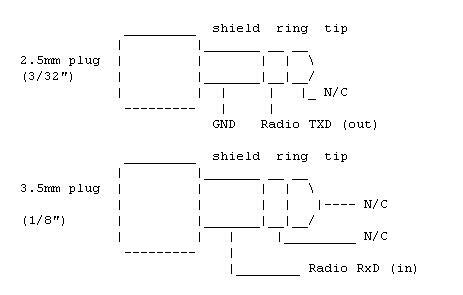 This will be a good advice and useful for my UV-3R+. I hope You can help me with wiring of the programming cable. I have 2 sets of Pl2303 USB/TTL/RS232 Convert Serial Cable. Black -- GND, Green -- TXD, White -- RXD, Red -- +5V. What is the connection order to this Kenwood-plug? 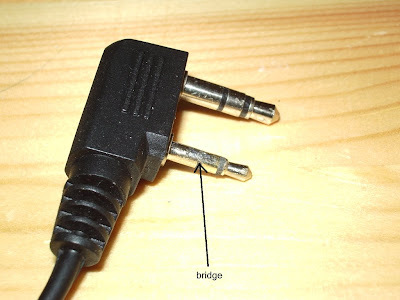 I have found a diagram of the Kenwood connector here. But in the end I took the easy way out and bought a ready made cable so I have not verified that the diagram is correct.